Did you know that Americans are expected to spend $340 billion (yes, that's billion) on remodeling this year? With that in mind, here are some important tips to keep in mind whenever you hire a contractor. Please take A MINUTE, to review us on Zillow and like us on our Guertin Family Realty Facebook page. Thank you! 1. 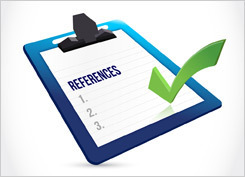 Get references from their clients and colleagues. Talking with a contractor's recent clients is helpful, but it's also a good idea to speak with a few subcontractors and suppliers who can tell you if the contractor pays them reliably. 2. Find out if they are adequately insured. Ask for proof of both liability insurance and Workers' Compensation. (These are two separate things.) Liability insurance covers your home if it is damaged during the course of the project. Workers' Compensation protects you from being held liable if a worker is injured. Tip: Being licensed and bonded does not mean a contractor is insured. 3. Ask what deposit and payment schedule they require. Experts recommend never paying more than one-third of the project cost as a deposit, and many suggest you pay less. Some states, such as California, limit the deposit to the lesser of $1,000 or 10% of project cost. Do not make the final payment until work is 100% complete, and make sure the receipt says "Paid in full". 4. Be very clear about the estimate and scope of work. Ask for a written, itemized estimate, and find out if it is a fixed-price bid or subject to change. It's also a good idea to ask how changes will be handled during the course of the project. The final contract should be clear about dates, scope of work, materials, payment installments, and who is responsible for permits. 5. Get lien waivers as you proceed. Get a lien waiver from the contractor every time you make a payment. This protects you from being sued via a mechanic's lien if the contractor fails to pay subcontractors or suppliers. Tip: Ask these 5 questions before hiring. - "Will you be hiring subcontractors?" - "Will you tidy up before leaving each day, and to what extent?" - "Do you charge a markup on materials that you buy?" - "What kind of warranty do you offer, and is it in writing?" Most states have a contractor licensing database that can be found by searching online for "contractor license lookup". These tell you if a license is currently active, and may also provide information about the contractor's bond and insurance. Did you know that the interior of a car can become dangerously hot when it's only 63 degrees Fahrenheit outside? - On a 72-degree day it takes 10 minutes for the temperature to reach 91 degrees inside a car parked in the sun, according to the journal Pediatrics. - According to the CDC, when the temperature outside is 80 degrees, a car's interior temperature can quickly rise to 130 degrees. Contrary to what many pet owners believe, leaving the windows cracked partly open makes no significant difference, according to experts. Sunny days with cool breezes are especially deceptive; while the driver may feel prompted to put on a jacket as soon as they leave the vehicle, inside the car the temperature rises quickly. Please feel free to share this information with anyone you know who drives with their pet! What the lawyers make us say: The information here is not presented as expert legal or financial advice. Please use your best judgment and consult professionals when necessary. - U.S. home prices rose 6.3 percent year-to-year in February, according to a recent S&P/Case-Shiller report. They rose 7.0 percent year-to-year in March, according to CoreLogic, a data and analytics company. - The national average 30-year fixed mortgage rate is in the low 4 to mid-4-percent range. The March Pending Home Sales Index decreased 3.0 percent year-to-year, according to the National Association of Realtors®. Are you curious about your home's current market value, or do you have a question about home buying? Just reply to this email, or call us at 952-442-1300. What's the Difference Between Bonded and Insured? Angie's List clears up a common source of confusion about contractor liability coverage. Tips on how to block annoying spam calls, including a list of helpful cell phone apps. Even people who typically have trouble making ribs are giving this recipe great reviews. Are you thinking of buying or selling a home in the next year, or could you use some remodeling advice? Even if you just need the name of a good service provider, please remember that we're always here to help you. We welcome the opportunity to serve you, your friends and associates with our expertise and recommendations. Please give us a call today at (952) 442-1300 if we can be of assistance! You are receiving this email because of your relationship with Dennis and Jane Guertin. Please reconfirm your interest in receiving our newsletter. If you do not wish to receive any more emails, you can unsubscribe here.